The new Bonadeo 370 is a pleasing mix of speed and comfort. The Bonadeo 370 has classic lines and wood accents. She’s backed by high-tech composite construction. Carbon fiber and Kevlar provide the strength needed for the 370’s mid-60-mph top speed range with its triple 400-hp Mercury outboards. Bonadeo’s unique bottom design delivers an amazing ride through less than desirable conditions. 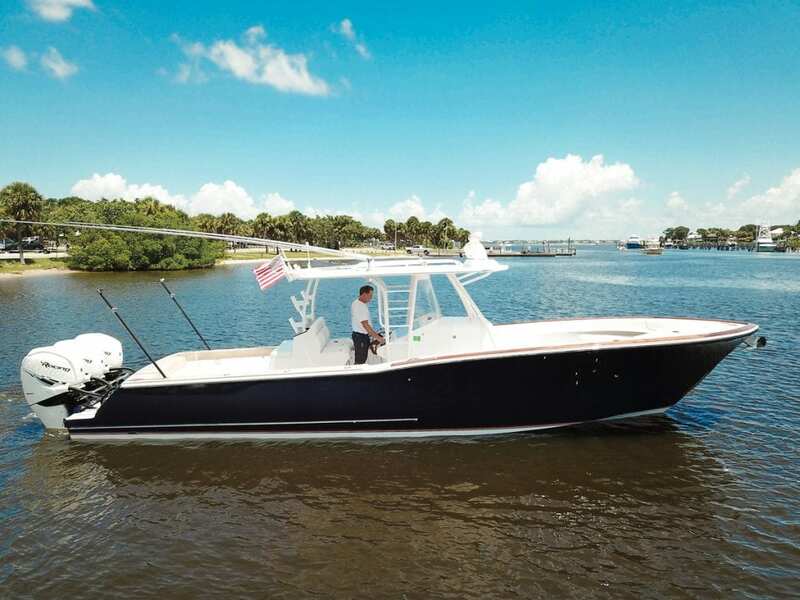 The inviting open space above deck has plenty of seating and a beautiful sun pad with custom upholstery and a multitude of storage and tackle centers. The low-profile center console’s dash houses a 24-inch Garmin MFD, an 8-inch Garmin display and still has room for more. JL Audio tweeters, subwoofer, and speakers provide concert-quality music, even though the speakers are discreetly hidden throughout the boat. Below deck houses an air-conditioned queen V-berth and head. A Seakeeper stabilizer is also available for increased comfort on the water.